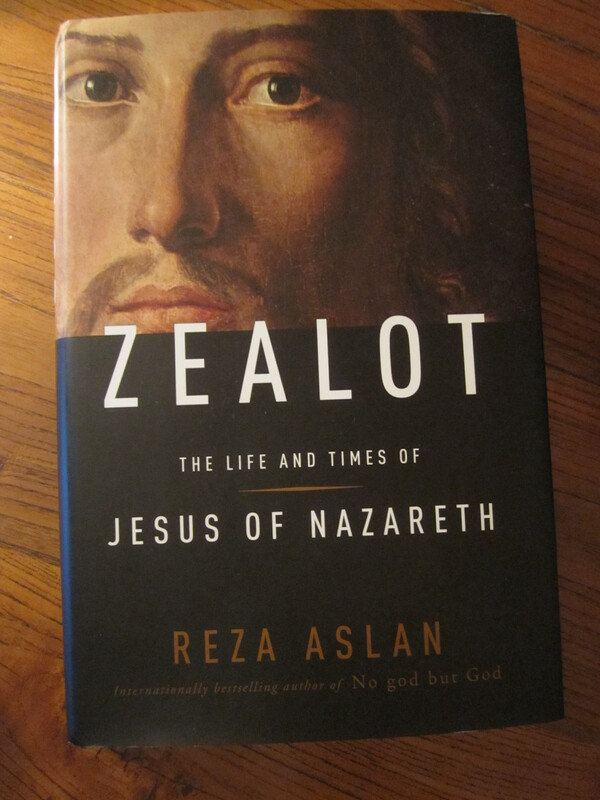 I have to admit that, after the media hype about Reza Aslan’s Jesus biography (in particular after he was interviewed by Fox News’ Lauren Green), only then I became curious of Zealot – The life and times of Jesus of Nazareth . Reza Aslan does describe the indeed tumultuous times of Jesus correctly and gives a rather detailed account of Judea, which he throughout identifies as Palestine , a marginal province of the Roman Empire. There have been three large-scale Jewish rebellions against Roman occupation in the 1st and 2nd centuries (between 66 and 125 CE), just when most of the gospels and epistles of the New Testament were written. In fact, one must assume that they were written in response to the revolts. As Aslan explains, Jesus of Nazareth, an illiterate peasant or carpenter, and social revolutionary , who more or less lacks any historicity, has in fact been transformed into Jesus Christ the Redeemer in these troublesome times by his inspired contemporaries. The more memories faded, the more he was seen as God incarnate which became dogma soon after the Nicaean council in 325 CE. The book’s seriousness heavily relies on its end notes on 53 pages, not 100 as Aslan claims in the infamous Green interview, and his bibliography of 200 references or so, which cites the major works by other authors. Many of his provocative or thought provoking theses in the main text, which sometimes comes as an inspired narrative, would appear speculation. In a way, it was a smart decision by the author or publisher who needed sort of provocation to once again address a broader audience. After all, there is not so much new in Aslan’s book. Even his firm stance on Jesus having been a disciple of John the Baptist has been discussed by some authors before. Interesting is, how he explained the more or less disappearance of one of the pillars (besides Peter and John the Apostle) of the new faith, James the Just, in favor of Saint Paul. Aslan quotes Robert L. Webb (Jesus’ baptism: its historicity and implications. Bull Biblical Res 200; 10.2: 261-309) at length on page 245 of his book. That it was the “Apostle” Paul, and not James, who created the new creed by proselitizing gentiles in an early phase of the movement is trivial. James, the “bishop of bishops” residing in Jerusalem, has more or less been forgotten. There might have been tensions between James, John and Peter on one side and savvy Paul on the other. What counts is that his mission was a triumph. He might be compared only to Muhammad a couple of centuries later. Aslan R. Zealot – The life and times of Jesus of Nazareth. Random House, Inc. New York 2013. Nagel T. Mohammed – Leben und Legende. Oldenbourg, Munich 2008. Since this is historically incorrect, it might be a revealing detail of the author’s real agenda. Syria-Palaestina was the name, the Roman Emperor gave the province in 132 CE, just before the revolt led by Simon Bar Kokhba. The title of he book, “Zealot”, suggests that Jesus belonged to 1st century Zealotry political movement which tried to incite Judeans to rebel against Roman occupation and expel the Romans from the Holy Land. “Zealous” in enforcing God’s law and blazing the trail for God’s revenge. This is certainly misleading. Jesus’ teachings had nothing to do with rebellion against the Romans. Jesus rather addressed Jews to endure their enemies, not to fight them. Some evidence for this view: In his sermon on the mount (which illustrates his revolutionary ethics best), Jesus recommends, “[w]hen someone strikes you on (your) right cheek, turn the other one to him as well.” How strikes someone right handed on another person on the right cheek? It must be the humiliating manner of a member of the occupying power who slaps with his back of his right hand rather than strikes. Then, “[i]f anyone wants to go to law with you over your tunic, hand him your cloak as well. Should anyone press you into service for one mile, go with him for two miles.” (Matthew 5: 39-41.) Who wants to have one’s tunic? Who wants to press someone into service for a mile? Definitely not your Jewish neighbor. Aslan may be quite wrong when suggesting that “enemy” meant “your neighbor enemy”. Among Jesus’ disciples is one Simon the Zealot, though (Luke 6: 15). 16 August 2013 @ 10: 40 am. Last modified August 17, 2013. This entry was posted in Academics, Book Review and tagged Apostle Paul, James the Just, Jesus of Nazareth, Jewish-Roman wars, John the Baptist, Reza Aslan. Bookmark the permalink.